I am dressing up and touring the neighbourhood as Cruella D’Evil. Black and white cocktail dress, talcum powder in my hair and wicked make up. It’s going to be fabulous. Presuming the snow stays away and it’s not too cold. Otherwise, I will be going as a sleeping bag. 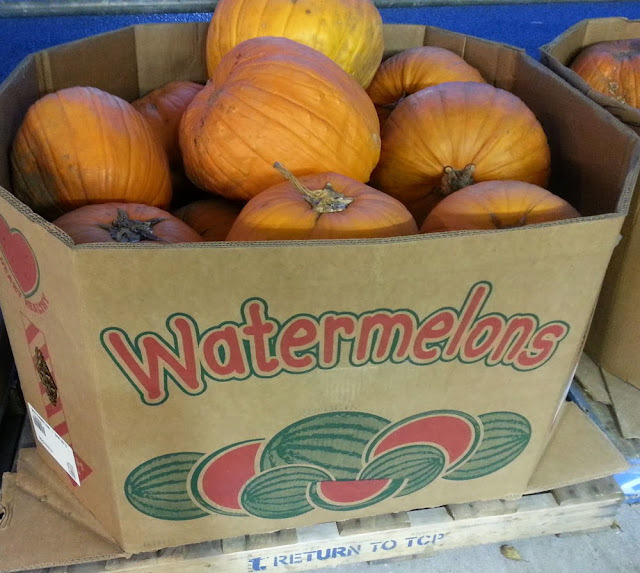 A few weekends ago, I went in search of a pumpkin to carve. I came back with 5. 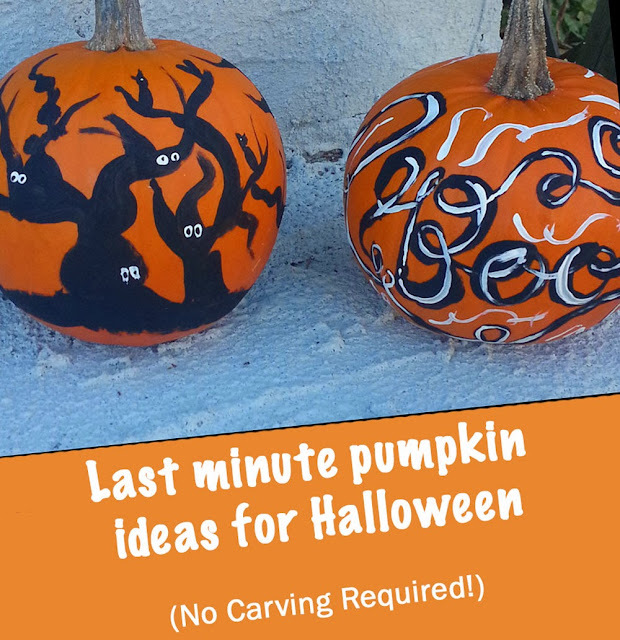 I thought it would be easy, it turns out that my mum really used to do most of the manual labour for this when I was younger and, therefore, gave me an unrealistic impression of how boring pumpkin carving is! Thanks mum! 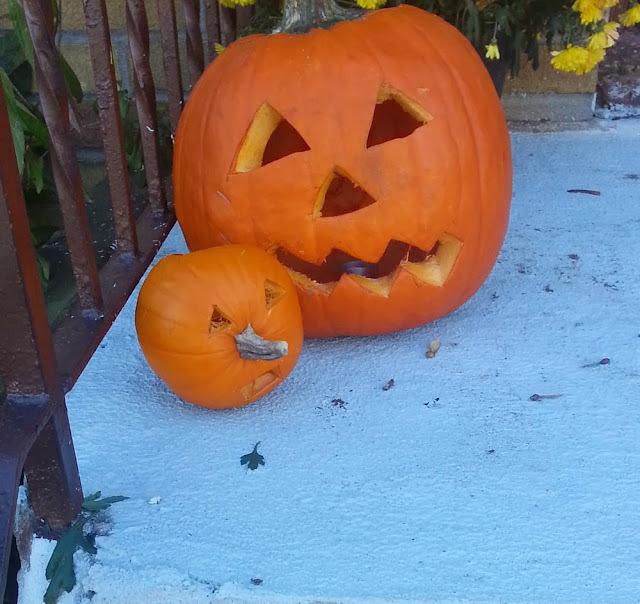 The Canadian and I spent a great part of last weekend carving 2 pumpkins. There was one large and one small. 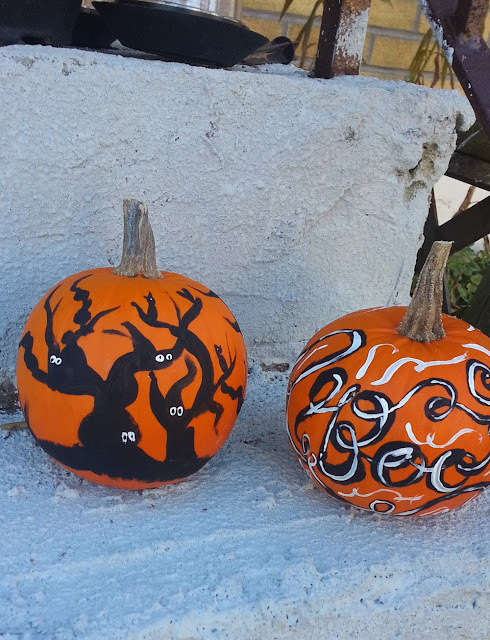 And both were equally tiresome to clean out and carve. 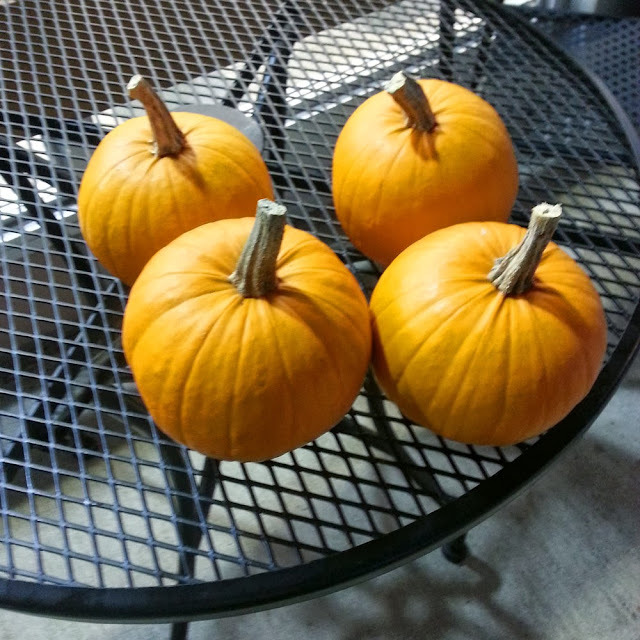 We had 5 pumpkins and I was bored after two. I wasn’t really sure what to do to ensure that the other purchases had been worthwhile. I really wanted to use these for Halloween! I started off by searching the internet to get inspiration. Try looking for “Pumpkin Silhouettes”. 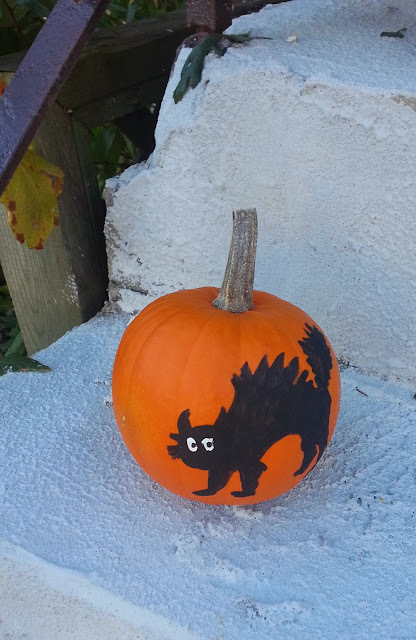 After I’d found one that struck my fancy, I outlined it with pencil on the pumpkin itself. I then painted within the lines, embellishing as I went. Tip: I found that having separate paintbrushes for each colour meant I could work faster, as there was no need for washing the brush in between colours. Tip: I loved the dollar store paint because it dried really fast. Nothing worse than getting paint all over the counter! These are the results, what do you think? Which is your favourite? We’re going to be hosting a really awesome giveaway this Friday, so be sure to stay tuned!